France have dropped a number of players for "inappropriate behaviour" after Sunday's defeat by Scotland in Edinburgh. 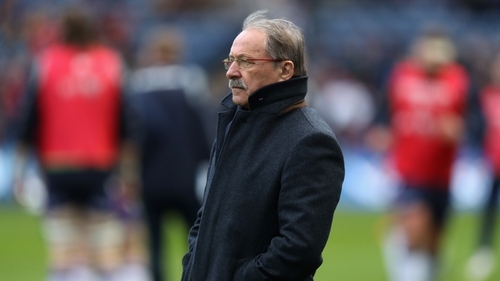 Head coach Jacques Brunel has acted after some players were questioned by Police Scotland in connection with a report of sexual assault, although it was subsequently established that no crime had been committed. It is thought that Brunel permitted the players a night out in Edinburgh after the 32-26 loss but he has since taken a dim view of their conduct, resulting in a major cull when announcing an initial 31-man squad named in advance of Italy's visit to Paris. Teddy Thomas, Remi Lamerat, Louis Picamoles, Anthony Belleau, Jonathan Danty, Arthur Iturria, Felix Lambey, Alexandre Lapandry and Sekou Macalou will miss the NatWest 6 Nations appointment with the Azzurri on Friday week. The French Rugby Federation (FFR) did not specify, in a statement to announce the squad, which players had been omitted for disciplinary reasons. "Jacques decided to exclude from this list the players who went out after the defeat in Scotland," the FFR statement read. "Through this inappropriate behaviour they did not respect their status as international players and the duties that come with that." Francois Trinh-Duc, Mathieu Bastareaud and Gael Fickou are among the players chosen to plug the gaps, but the absence of Thomas is a major blow. The 24-year-old has been one of the stars of the opening two rounds of the Six Nations, using his pace and footwork to score three tries, and the setback in Edinburgh - both on and off the field - has restored Les Bleus to an all-too familiar state of chaos. Police Scotland spoke to a number of potential witnesses at Edinburgh Airport on Monday morning, grounding the plane carrying the French squad while police inquiries were carried out. The chartered Jet2 flight to Paris was due to leave at around 11am but was stuck on the runway. Events manager Jo McKinnell said the French players were in the bar on Sunday evening but said there were no incidents.